We’re excit​ed to announce that RNIB is exhibiting at the RH​S Hampton Court Palace Flower Show this summer to mark our 150th anniversary. Our Community Garden won the RHS People's Choice award for the Show and World Garden, as well as an RHS Silver Medal. Taking place from 2-8 July, the RHS Hampton Court Palace Flower Show is one of the highlights in the nation's horticultural calendar. Our Community Garden has been designed by Steve Dimmock, who won Best City Garden and a Silver-Gilt medal at the RHS Hampton Court Palace Flower Show in 2016, and Paula Holland. The garden has been designed with the input of blind and partially sighted people and will celebrate the community of more than two million people living with sight loss here in the UK. Flowers and shrubs will represent the spectrum of sight loss, moving from shade-loving species to sun-loving, fragrant and sensory types. Sensory aspects of the garden will convey inclusivity, showing how the senses of touch, smell and sound are something that everyone can enjoy, no matter how they see. Steel walls with windows cut out will surround a central seating area. These windows will feature filters simulating four of the most common eye conditions so that visitors can see through into the garden with the perspective of someone who has glaucoma, diabetic retinopathy, cataracts and age-related macular degeneration. After the RHS Hampton Court Palace Flower Show, some of the garden is to be moved to RNIB’s Swail House in Epsom. Swail House offers supported living accommodation for people aged 18-65 with sight loss and additional needs. Tickets for the RHS Hampton Court Palace Flower Show are available now priced from £22 for non-members, so if you’re into gardening we’d love to see you there! We’ll be updating this page with further information on the garden in the coming weeks so please check back to find out more, or follow RNIB on Twitter, Facebook or Instagram for updates. RNIB’s Community Garden at RHS Hampton Court Palace Flower Show is sponsored by Magus Private Wealth. Kevin lost his sight but not his passion for gardening. Find out how RNIB helped change his life again. 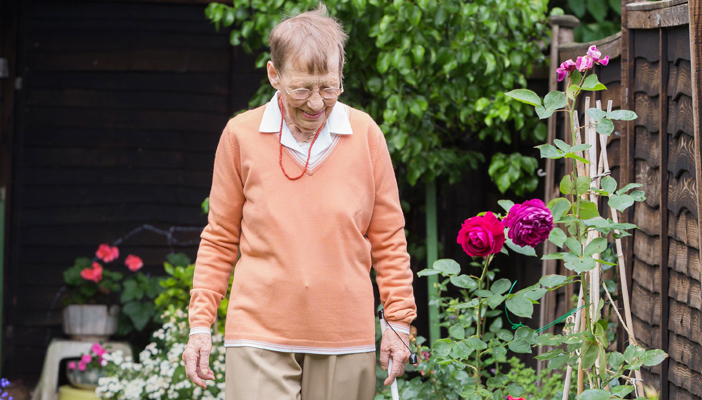 Being out in the garden can make you feel good and is a great way of keeping active. 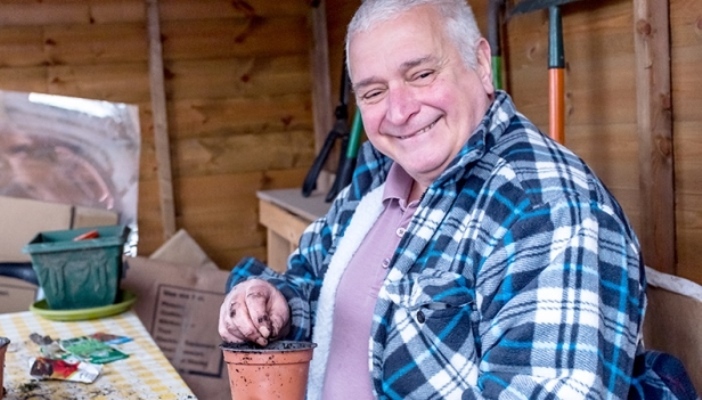 Here are some top tips for gardening with sight loss.